TechSquadTeam experts serve solutions for repair, home cleaning, pest control and many more at your doorstep at a pocket-friendly price. 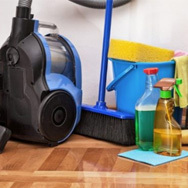 We serve reliable home services in the IT city Bangalore including Hyderabad, Bhubaneswar, Chennai, Mumbai and more. India’s leading home care Solutions Company that is captivating its new & existing customers with its advanced tools and techniques for home services. TechSquadTeam main goal is to achieve the trust of its customers for a long run of the business. Looking for Customized Annual Maintenance Contract (AMC) Package for your Business?